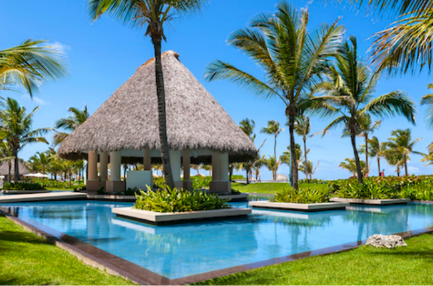 The Hard Rock all-inclusive resort in Punta Cana is sure to make any wedding couple feel like rockstars, situated along an expansive stretch of pristine Caribbean beach. 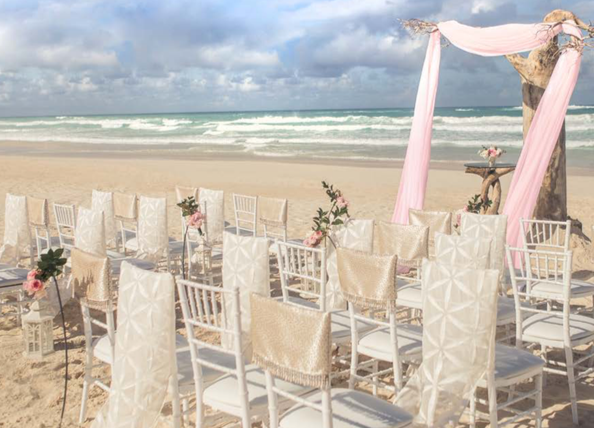 With edgy decor and the best casino in the Caribbean, a Hard Rock Punta Cana wedding is a guarantee that you and your guests will have everything needed for an exciting and fun-filled ceremony, and an equally incredible stay. 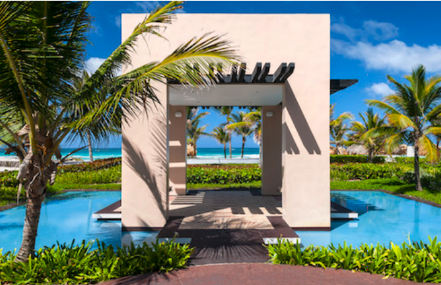 With 13 pools (some members only) and a large beach, your wedding guests will never run out of places to swim or relax poolside. The property is huge and makes for a highly stylized wedding ceremony. It’s suitable for all wedding guests, from young couples to children thanks to the long list of activities available, from a full golf course, casino, mini golf, nightclub, and so much more! 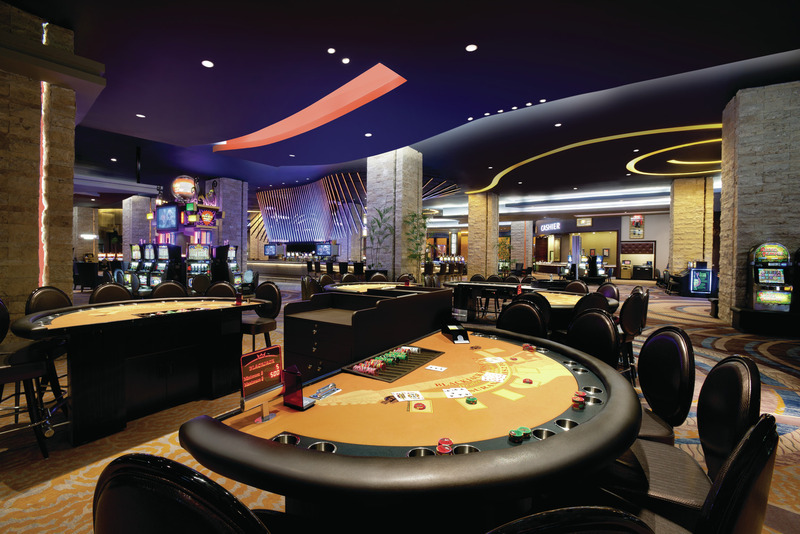 Hard Rock offers many private functions for free if certain room or room night bookings are met. Free 1-hour cocktail reception for booking 29 room nights or 5 to 9 rooms for a minimum of 3 nights. Free private 2-hour function (may include dinner and/or cocktail reception) for booking 30 room nights or 10 – 19 rooms for a minimum of 3 nights. Free private 3-hour function for booking 60 room nights or 20 – 24 rooms for a minimum of 3 nights. Each package welcomes 32 guests. Hard Rock does offer a complimentary package that includes a free and minimally white setup but will incur a fee of $1000 if booked 30 days prior to the event. 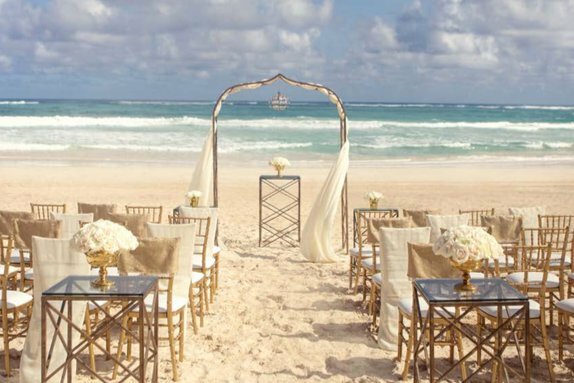 Hard Rock Punta Cana offers a wide range of decor setups and can accommodate Indian weddings. Catholic ceremonies can be performed on site anywhere with a roof, take for example the wedding gazebo. Upgraded packages, additional guests, and add-ons are available for an additional cost. $220 – $300 average price per person per night. Rooms include free wifi, balcony or terrace, double hydro spa tub, liquor dispenser, and coffee maker. Children 3 and under are free. 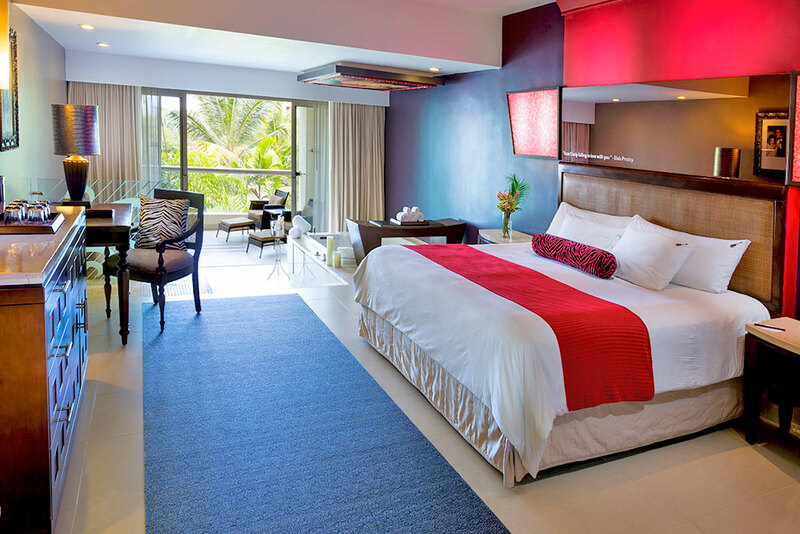 Hard Rock Punta Cana offers 1784 rooms, with garden or lagoon views, and is recommended for more active guests due to the size of the sprawling property. Isle of Wight Plaza – 600 guests max, Tropicana Plaza – 600 guests max, Eclipse Canal – 400 guests max, Piano Beach – 350 guests max, Harmonica Beach – 300 guests max, Ipanema Garden – 200 guests max, Harmonica Beach Patio – 150 guests max, Ipanema Patio – 150 guests max, Eclipse Garden – 100 guests max, Piano Gazebo – 90 guests max, Trumpet Gazebo – 90 guests max, Isla Beach – 80 guests max, Harmonica Gazebo – 56 guests max. 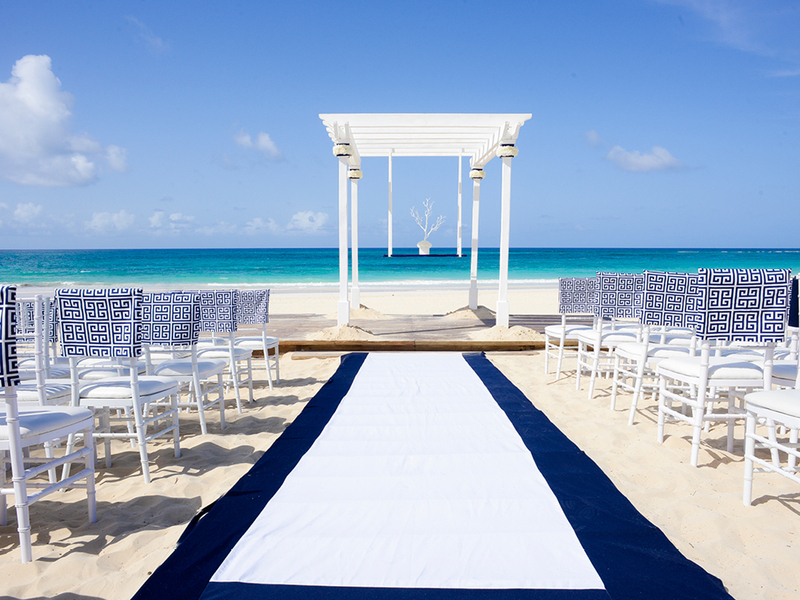 Hard Rock Punta Cana typically hosts up to 7 weddings a day, but due to the size of the property and number of venues, they are scheduled accordingly to never run into each other. – The Hard Rock Resort’s wedding packages were designed by world-renowned celebrity party planner, Colin Cowie, who has worked for the likes of Jennifer Aniston, Tom Cruise, and Oprah Winfrey. – The larger-than-life Rockstar Suite offers an in-room bar and memorabilia of drummer Paul Stanley and the legendary band of Aerosmith. 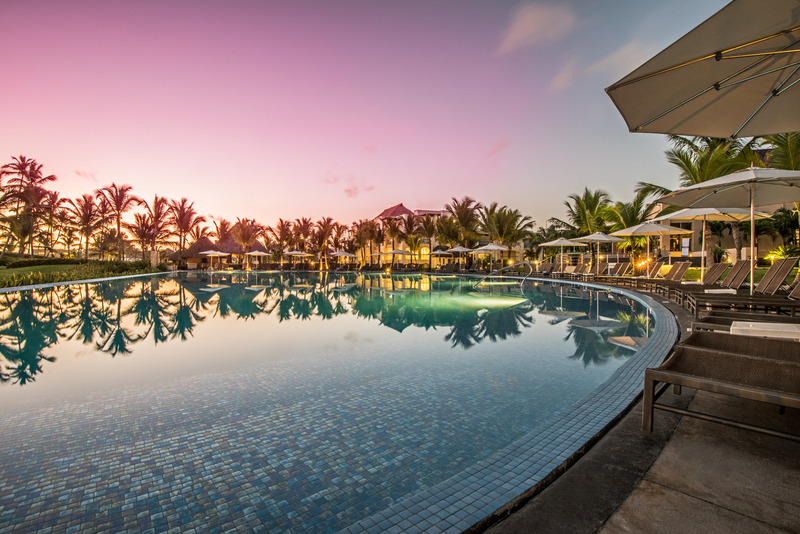 – Hard Rock Punta Cana offers two music venues that regularly see international acts, including Oro nightclub, an on-site venue designed to rival clubs in Las Vegas and Miami. The future event calendar includes Maroon 5, and past events have included Pitbull and Joss Stone.